The Harloff Universal Line Keylocking Anesthesia Cart combines industry-leading standard features with a modern design. It comes in a variety of configurations which makes it a great choice for anesthesia, treatment or infection control. Flexible and Functional. 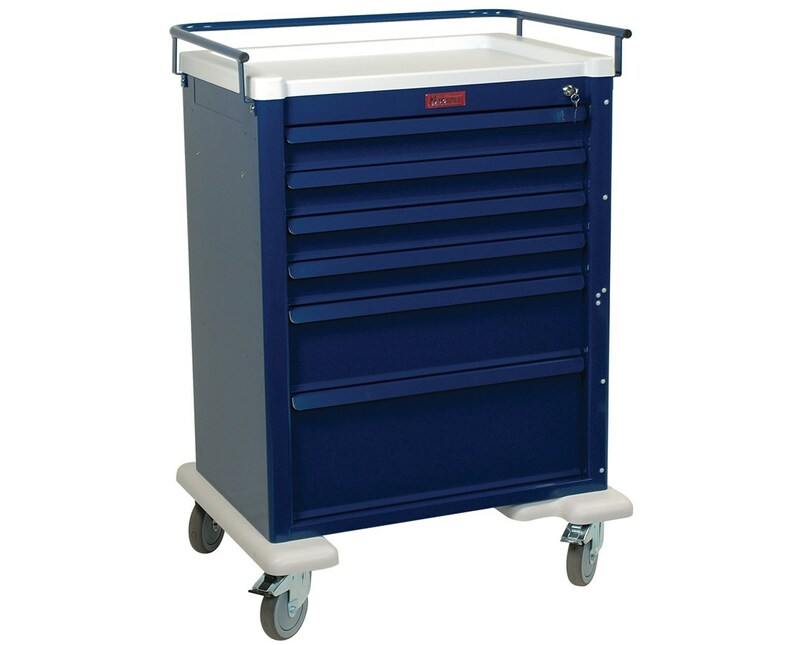 Constructed of aluminum and latex-free materials, the Universal Line Keylock Anesthesia Cart has a durable, hard-baked powder coated finish with various colors. The cart is designed with a variety of standard features that makes it exceptionally versatile and efficient. 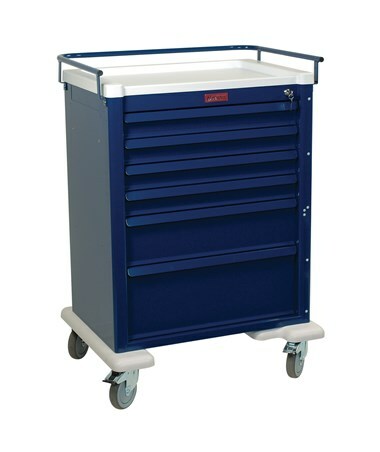 It includes an internal pullout shelf on the right side of the cart which provides extra workspace and can easily be retracted when not in use. The cart is secured with a key lock and includes two keys. Hassle-free Movement. 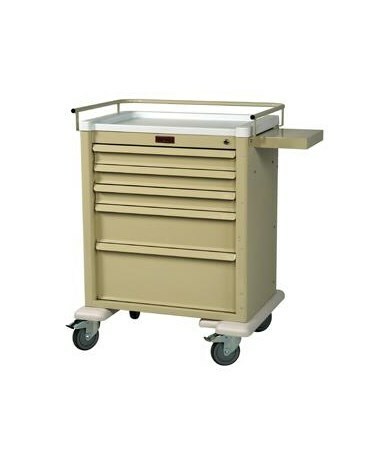 Mounted on 5" ball- bearing, full-swivel premium casters with one tracking and one braking, the Universal Line Keylocking Anesthesia Cart has a painted steel top rail/push handle which controls the cart while being moved around the facility easily. The cart has a protective pontoon bumper which prevents damages from unwanted collisions. Height 41", 44.5", 48", 63", 66.5", 69.75"